I recently read one of my favorite books...again, it must be for the 5th or 6th time. It is called "The Witch of Blackbird Pond". In it the main character mentions the exciting feeling at the start of each new season...it is sort of thrilling...ahh I love that story...Oh, sorry- I am rambling! But doesn't fall make you want to just curl up and read a book?! 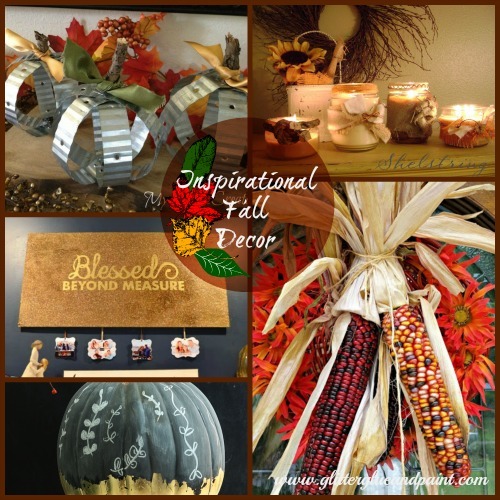 Speaking of fall, my friend Denyse from Glitter Glue and Paint has invited me to be a part of her creative team where we share some of our seasonal projects, and you guessed it, we are sharing some of our fall Decor! The rest of the post is written in Denyse's words so please enjoy! Mary Beth from Cupcakes & Crinoline made this gilded chalkboard pumpkin. She gives a great tutorial for you to make your own. Stop over and tell her how awesome she is! 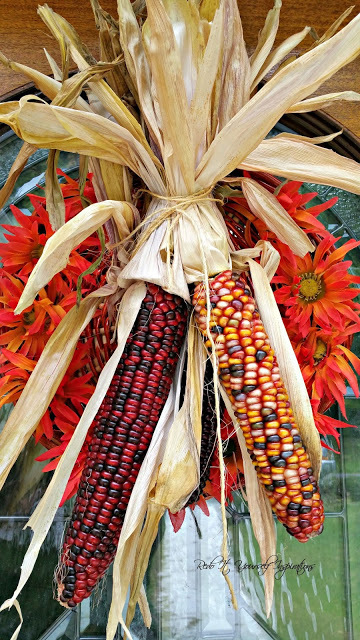 Robin from Re-do it Yourself Inspirations shows us how to make a very different kind of wreath for the front door using corn. I hope you visit Robin and let her know how beautifully Fall her door decor is! Kirsten from Sweet Tea & Saving Grace made this adorable blessings board. This time of year we are all about the things we are thankful for. I'd love for you to visit my dear friend and see how she created this beautiful DIY blessing board. Industrial pumpkins!! Say it isn't so!! Mindi from My Love 2 Create used brick ties to make these gorgeous pumpkins. For the love of metal, you can cherish these for more then just fall. Walk....no run..to see how Mindi created these. Michele from Shelstring is in the fall mood with the crisp, clean air. She took some drab candles and created a warm and cozy fall decor. Stop on over and see how easy it was. Just think perfect gift! So what do you think? 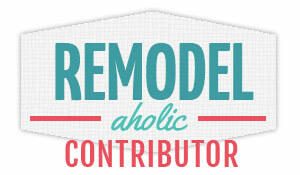 Would you tackle any of these fun fall projects?! I think they are all super fun! I hope you take a minute and check them out! Or pin for later! Beautiful projects! Love Mary Beth gilded chalkboard pumpkin and of course your industrial ones,so creative! 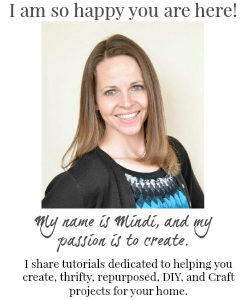 Thank you so much sharing my gilded pumpkin, Mindi! I appreciate it. :) Have a wonderful fall.